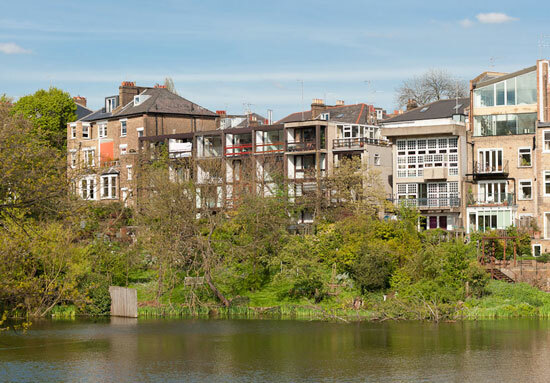 Ever wondered which houses have proved most popular in the capital over the years? 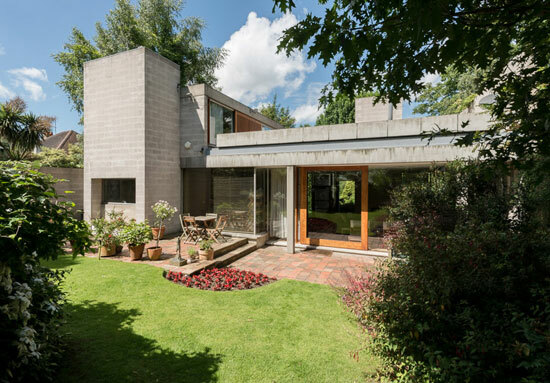 Wonder no more, as we have finally compiled Modernist London, our top 30 house finds on the WowHaus site. Architecture of varied style, with a few surprises along the way. Of course, like all the best charts, we are going in reverse order. Just making the cut is this wonderful brutalist build from the 1960s. It was on there market for the very first time, just after being listed by English Heritage. Updated subtly, but you really wouldn’t notice. The design is pretty much the one requested by original owner Sir Jack Zunz. Lots of space, a roof terrace too, but like most on the listing, it didn’t come cheap. This one was on the market some years back – and in all honesty I’m not sure if it actually survived. 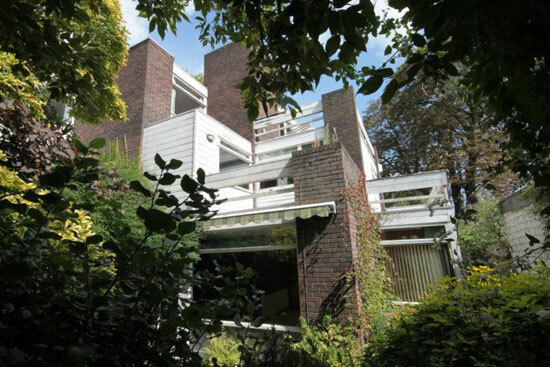 That’s because this largely untouched modernist build was described as ‘one of the last remaining substantial sites in Hampstead Village’, with planning permission to replace with a number of modern dwellings. I’m sure one of our local readers can confirm its fate. So enjoy those original features and the architecture itself. I’m pretty sure no one paid the £15m to keep them. We never quite got the full tale on The Rossdale House in London N3. 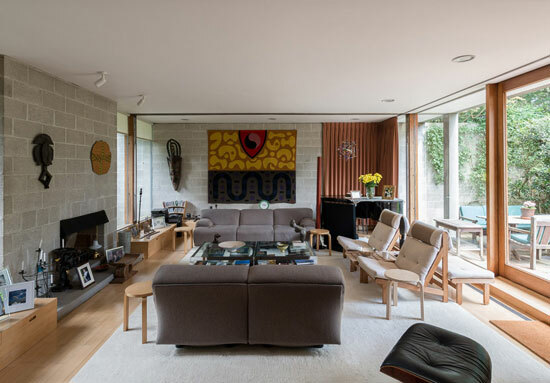 That’s because photos of the inside of this 1959 design were not made available, although the agent added that the house had been ‘lovingly restored and updated by the current owners’ in conjunction with English Heritage, so presumably a thorough job. Geoffry Powell was of the Chamberlin, Powell & Bon practice and responsible for a design that has aged well over the years. 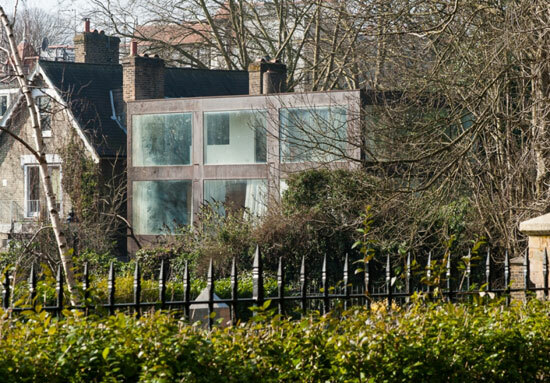 ‘Modernised’ modernism can go either way, but in the case of this Shepherds Hill, it went the right way. Yes, it has been updated, but the end result is a similar structure, a wonderful upper glazed area and contemporary, open plan living. Very stylish and a renovation that works well in this kind of build. Desirable architecture in an equally desirable postcode. Of course this was popular. 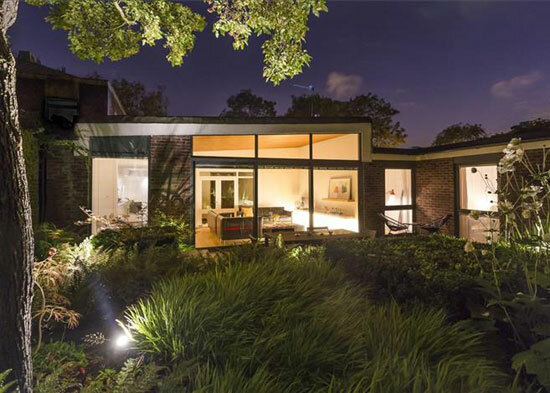 This is one of a group of properties (six in total) that offered bod modernist design, that sought-after location, views over the Heath, off-street parking, a private garden and shared use of an orchard fringing Hampstead Ponds. Extensive space over four floors too (including a self-contained flat), with much of the interior untouched thankfully too. 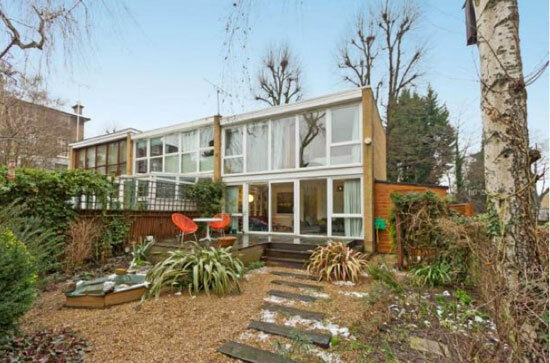 The Dulwich estate is consistently popular on these pages, with this being at the top of the pile. 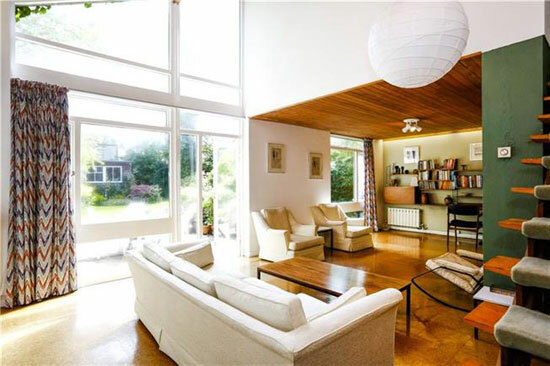 A Manfred Bresgen design from 1969, it was renovated and recently extended, but without compromising the original design and keeping the key details, such as the wood ceilings and large windows. Another very hip place to live. 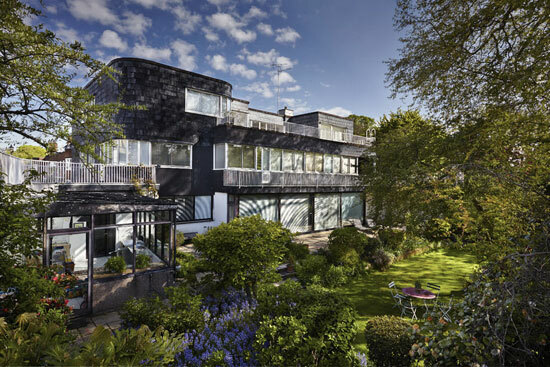 We always associate Royston Summers with those amazing houses in Esher, but this one in London also has its fans. So it should. Part of a terraced development of seven properties on the edge of Blackheath, it has walls of glazing throughout its three floors to make the most of those views. Little has changed over the years outside of kitchen and bathroom updates, so do check out that amazing staircase and all the wonderful built-ins. Something very bold and very modern. It looks modest in size from the outside, which is perhaps because much of the action os downstairs. Yes, underground living, but without it being dark and depressing. Lots of bright open space down there and the level of luxury you would expect of this kind of build. Another recent build that has proven very popular. This one dates back to 2013, built by the architect for an architect (we don’t have the names sadly) and sat within a conservation area. 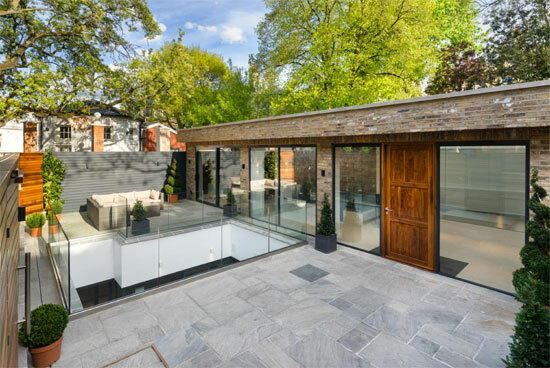 Walls of glass, a central courtyard and lots of modern and open living space within. Although from the outside, a 40-metre long blackened Siberian larch timber wall screens the house some prying eyes, hence the ‘fortress’ name. The name ‘Walter Segal’ always goes down well, not least with this group of properties from 1963. Just one went on the market, a house that had been updated. But the key feature of the wall of glazing to the rear survived, as did other original details like the flowing for example. A nice blend of the old and the new. It seems like yesterday when this one went up for sale, but amazingly, it was four years ago. Loved this one, which was designed and built by Enfield Council’s chief planning architect back in the day. Not quite a timewarp, it has been updated here and there. But the integrity of the original design survives, along with a few well placed original features here and there. 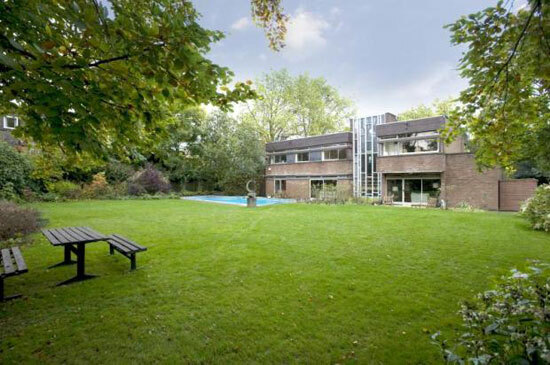 Back on the Dulwich Estate, but this time looking at a house by Malcolm Pringle. 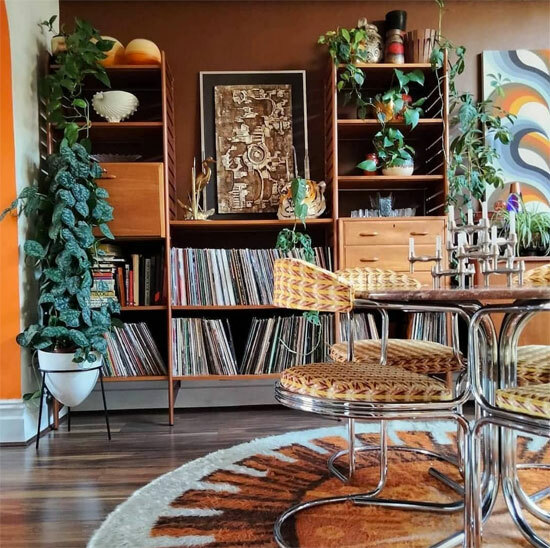 The appeal of this 1963 build was definitely the original finishes. This one had never been on the market previously. So much to talk about here, but my eye is constantly drawn to the kitchen area and its tiles for some reason. This one is even more of a time capsule than the last. 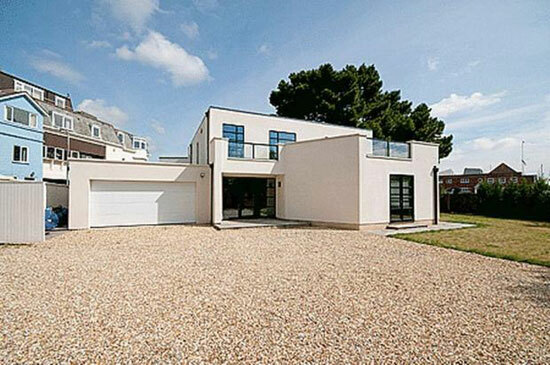 In fact, you really need to see there internal photos of this house to believe it. I said at the time that it looks like someone has taken out the furniture and left the original shell. Nothing has changed here at all. I really hope at least a part of this one is still standing rather than it being flattened. It would be sad to think of all those fittings in a skip. 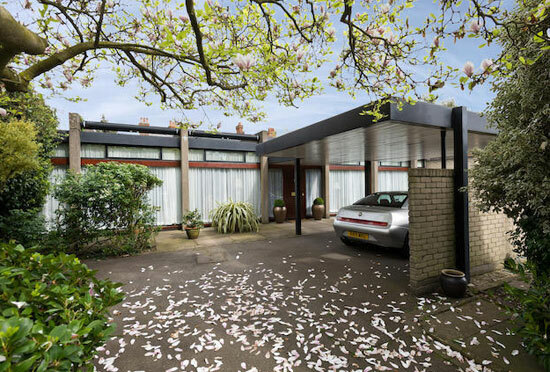 The name ‘Norman Foster’ probably played a big part in the popularity of this one. Oh, the architecture too. 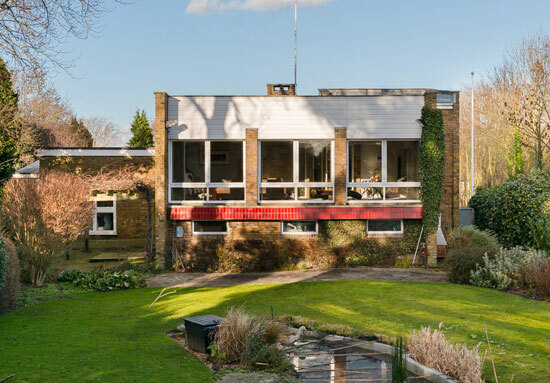 This was on the market for the first time, a modernist conversion from 1969 that is both distinctive and unusual, but with plenty of space and natural light and flexible accommodation that has changed little over the years. Once again, a time capsule proves popular. I wasn’t sure at the time whether this was a clever renovation or a well maintained original. 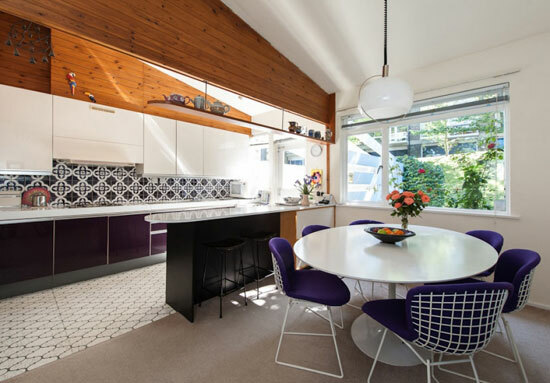 Either way, this was a wonderfully authentic 1960s build, with the windows, the ceilings, the open staircase, the flooring and the wood panelled walls all key selling points. This amazingly striking property was always going to make the top 30. 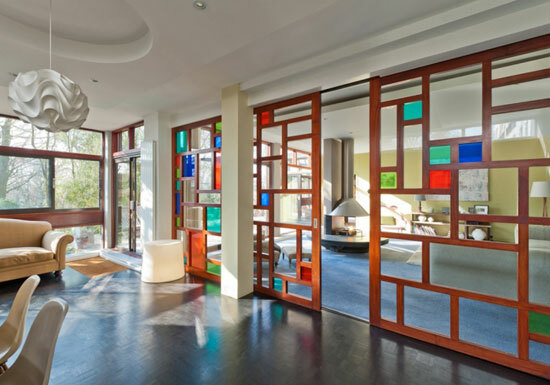 Built back in 1934, it took inspiration from both the modernist and art deco movements, as well as the work of Frank Lloyd Wright and sits in a huge plot, which no doubt accounts for a similarly high price. Updated inside, although some original details survive. 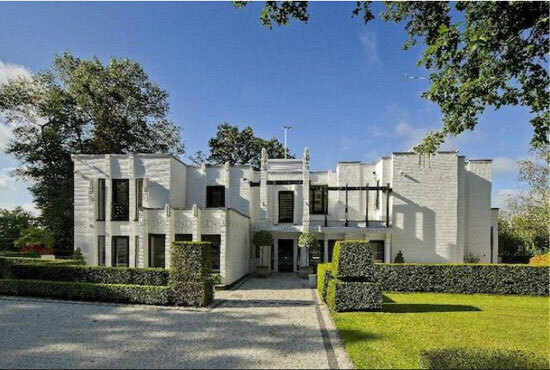 Another popular area, the Hampstead Garden Suburb properties are always coveted by fans of the art deco style. This one in particular. 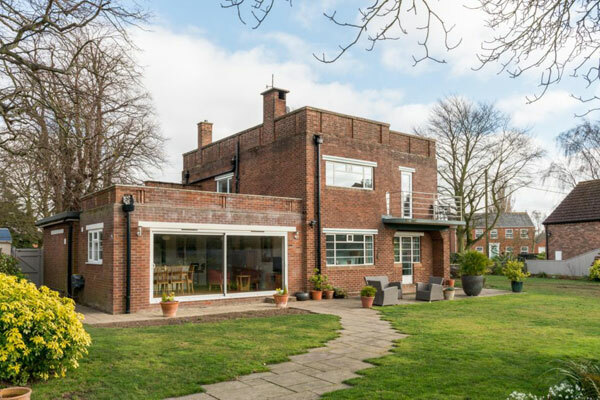 Located on Lytton Close, it dates back to 1935, the work of architect G.G. Winbourne, with construction undertaken by W.L.M. Estates and now grade II-listed. 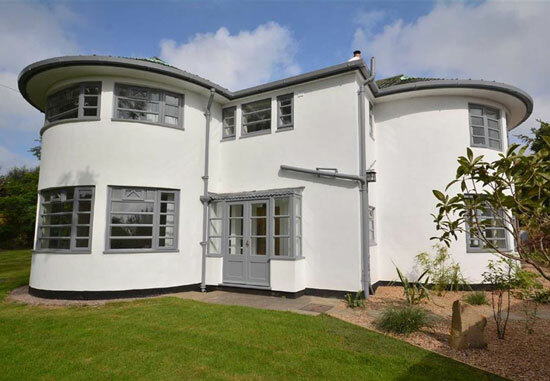 The exterior is about as ‘Poirot’ as it comes, but the inside of this one is a complete renovation. So don’t expect any period details surviving here. 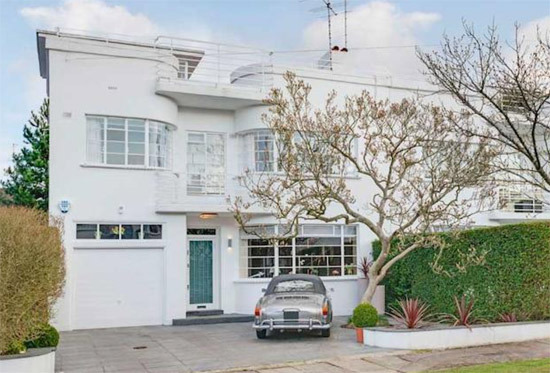 Well, except the windows and that amazing roof terrace, both of which top most deco wish lists. 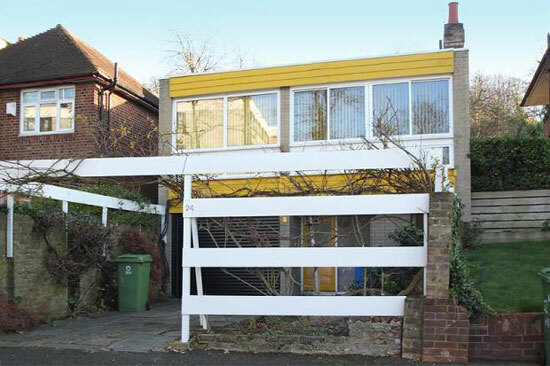 This one dates back to 1963,inspired by the work of Mies van der Rohe and just yards from Wimbledon Common. Of course you are interested. Look past the decor, this one has so much to offer and plenty of originality too. Little has changed over 50 or so years. 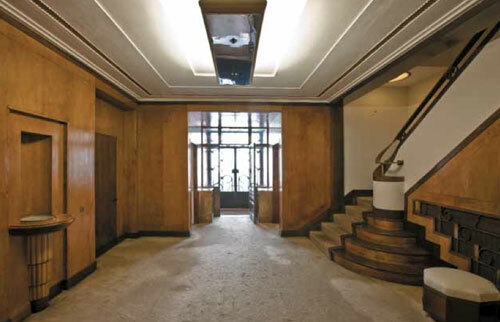 Floor to ceiling glass, original wood fittings and a layer that uses two wings off the central core. Space isn’t an issue. The price tag, on the other hand, might have been. 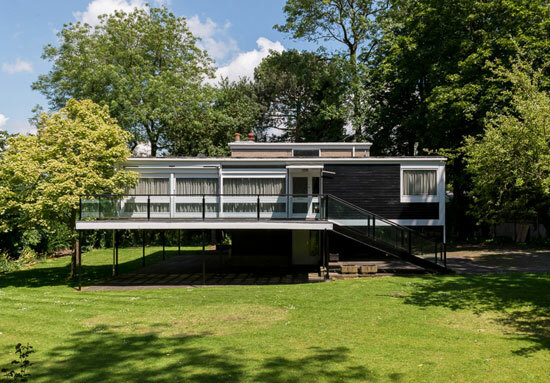 It was described as ‘one of London’s most architecturally significant modernist houses’ and I am not going to argue. It was designed by Winter for his own use and was on the market for the very first time. In largely original condition, but it did need extensive renovation. With the grade II listing status in place from English heritage, that might have been a significant and costly job. Especially with a £3.2m asking price. A joy to look at though. Walter Segal makes his second appearance on our ‘chart’. Unlike the previous one, this Segal hasn’t been on the receiving end of a heavy renovation. A wonderful and secluded modernist property with plenty of character, wood and brick finishes throughout and a lovely balcony area to take in the garden. Funnily enough, we featured one almost identical to this place last week. That’s not surprising. 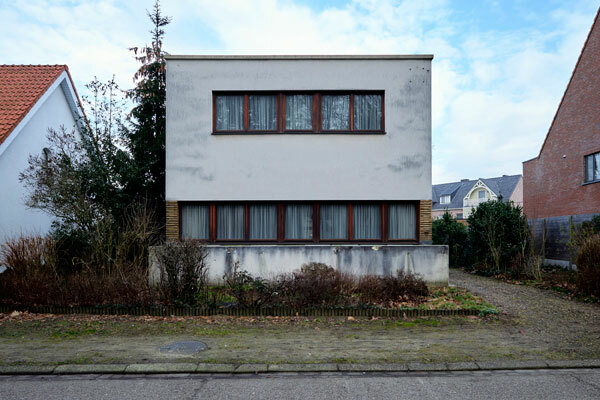 Both are part of a mini development of modernist houses, with this one pretty much untouched and looking rather empty too. If you like big windows, exposed brick and open plan living, this would have been for you. Much cheaper than the recent one too, perhaps because a touch of renovation work was needed. If you want some ‘wow’ factor, check out the internal doors in this duplex apartment. The interior of this one is just jaw dropping and pretty much all of its appeal. The Copper Beech block was designed and built in 1961 by Dinerman, Davison & Hillman, with this large apartment designed for American film director Samuel Wanamaker. he wanted something in keeping with American midcentury modern style and he got it. Very special. I think I have had more emails about this house than anything else on there site. People are fascinated by it and for good reason. It was a step back into history, a large house in central London untouched for 80 or so years. the architects used only the best fittings and pretty much all of that is (or was) still in place. The worry was planning approval to ‘re-organise a portion of the current layout’. be interested to know if that happened or if someone maintained this amazing time capsule. 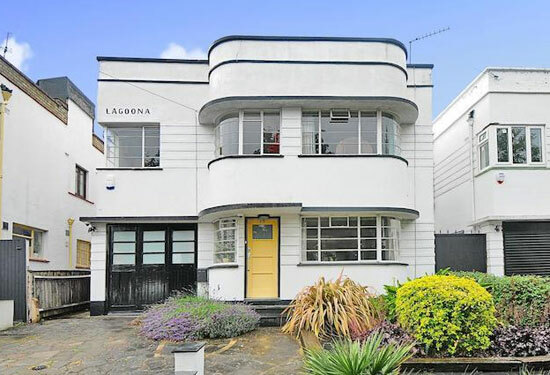 Art deco is consistently popular, especially houses that look as good as this. Like a lot of these places, the exterior has been maintained to a very high period standard. But the inside is a mix of styles, with period detailing thin on the ground at first glance. Much of it was decor though, so there was the option of adding back a touch of the 1930s if you wanted to. 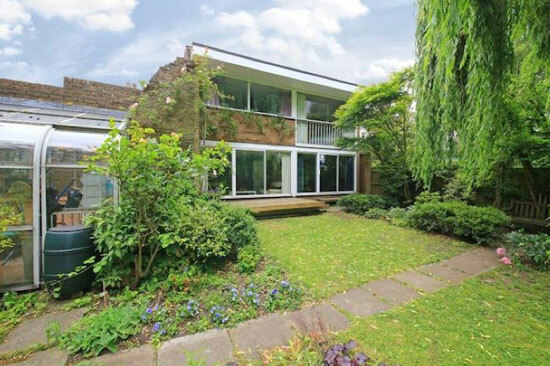 Highpoint is consistently popular, but this Lubetkin design is the most popular by some distance. I think it was done to price. 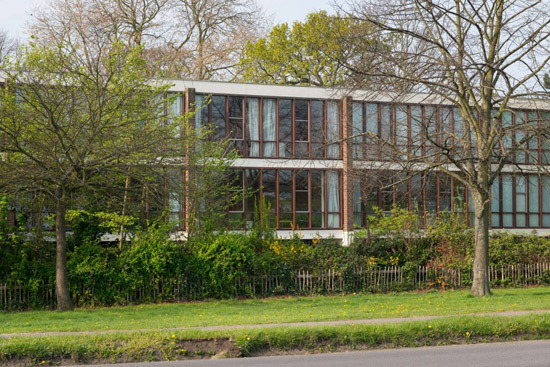 I’m not saying £399,000 is nothing, but it was cheaper than we might have expected if you wanted to live in ‘one of the most important Modern Movement buildings in Britain’. A listed mid-terrace property, it has plenty of space including five bedrooms and has had a renovation sympathetic to the era. I think this is my favourite out of there top 30. Walter Gropius in London. A certainty for the top five. 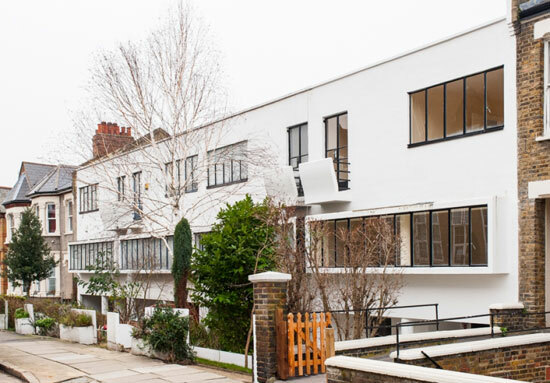 It was on the market for the first time in decades, one of the few projects Gropius worked on in the UK and a large one too with 7,477 sq ft of living space. Well preserved, but it did need some modernisation here and there. The flipside of that is all of those lovely period features. Yum. If you go on Grand Designs, you are pretty much putting out a one hour ad for your house. Perhaps that’s why they are always ridiculously popular. 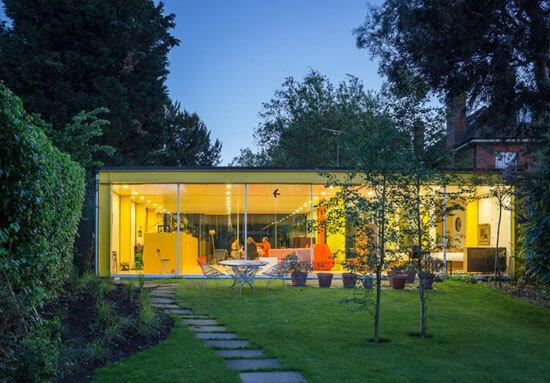 This award-winning house from series 8 (if you want to look it up) was described as a ‘giant stack of glass cubes’ and had a design that diffuses light throughout, as well as offering triple glazing, rain harvesting and solar panels to boost its eco-credentials. Spectacular inside and out. This is the house that never sold. But for good reason. It was up for sale, but in the end Rogers decided to donate this very special house to the Harvard school of architecture. Effectively it is a research centre for young architects. Good news really, as it means the house is preserved for the future. Bold, brash, bright and decades on, still incredibly modern. It promised a future we never quite got. 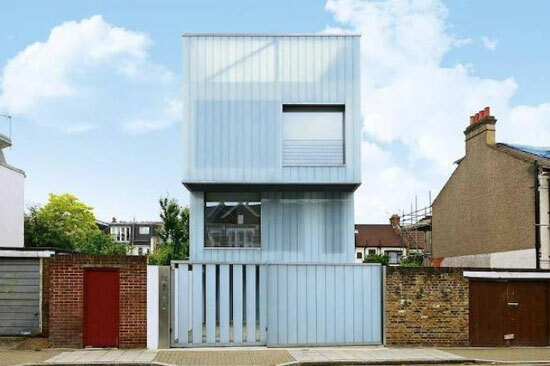 Yes, another Grand Designs house at the top of a pile. There’s a trend here. 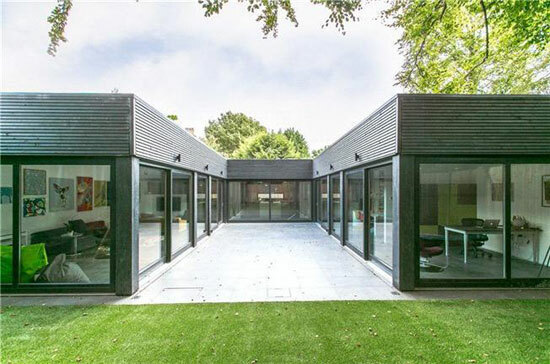 This one was built on ‘a scrap of land right in the gritty heart of north London’ back in 2013 and was perhaps best remembered as the house that also went underground. An impressive million pound house that eventually went yup for sale for much, much more. 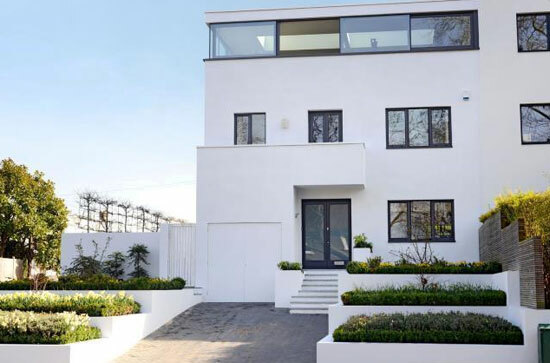 And in number one spot is…another Grand Designs house! To be honest, this one has been consistently popular since it first appeared on the site back in 2013. 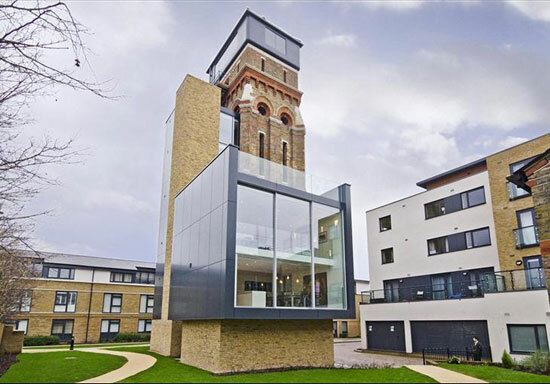 It was featured in the 100th Grand designs show on Channel 4 in 2012, a conversion of a derelict tower into something modern and well…stunning. Not least because of the top floor space created from the old water tank, offering 360-degree views over London. 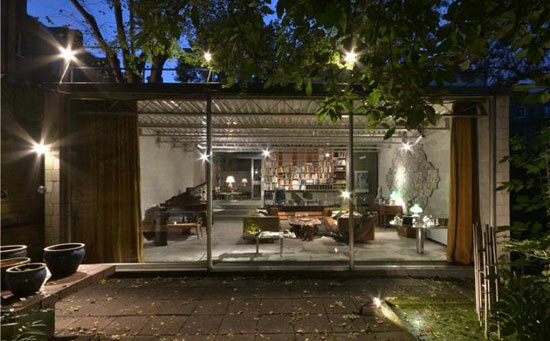 A huge property that effectively mixes the vintage architecture with contemporary style to great effect. This really was a Grand Design and a worthy number one. Well, for now anyway. This is a constantly changing chart, so it might not be there forever. That’s pretty much it. But of course, we will have new finds pretty much every week in the London area. If you want to browse the latest, check out the section here.